Are you a budding amateur photographer or a seasoned veteran at capturing the scenic landscapes and views of this mother nature? Either way, the galvanizing experience of photography hits the rights spot for the wonder seekers, travelers, or the people picking photography as a hobby. In order to snap everything to your heart’s content, you might need a substantial amount of room to accommodate all the photos which tend to easily stack up into multiple GBs before you know it. For that matter, going with a random run-of-the-mill hard drive is nothing but a dicey bet, for it is not always about the space of a drive only, you have to take other facets into your due consideration and appraisal. Fret not, we have arranged a stunning list of best external hard drives for your photography needs. 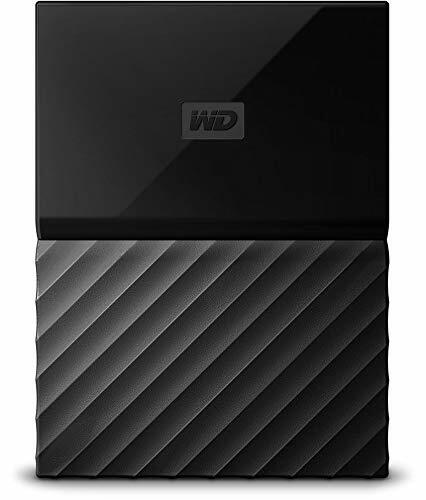 The hard drive market has been a florid niche for WD for the past years. 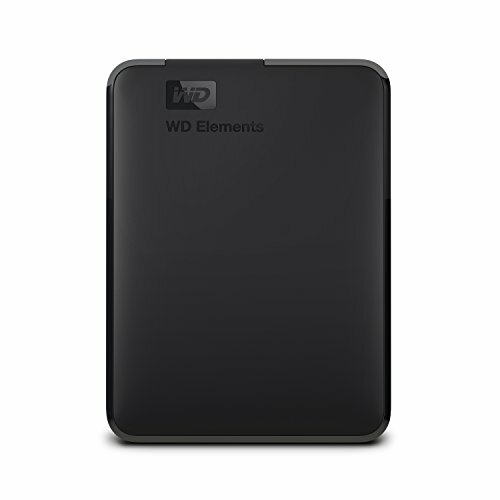 Their Elements portable drives are renown for their compact and fast drives offering storage capacities from 1TB to 4TB. It is a 5000 rpm drive, and via USB 3.0 you are guaranteed to get a sustained real-world copy speed of more than 95MBps for writing and more than 100MBps for reading. Out of the box, the Elements comes with a standard foot-long Micro-USB 3.0 cable and nothing else. But you don’t need anything else to make it work, either. Of course, it is compatible with USB 2.0 as well. It is tip-top and ready for all Windows versions. As for the Mac users, there have been complaints with regard to the failure of reformatting, the issue with erasing/formatting for a mac just has to do with the view you have opened in the Disk Utility. Make sure you go to View > Show All Devices, and then “erase” the top tier drive. After reformatting you’ll have 1.8 TB available at your disposal. It doesn’t require any battery, If you are using Windows 10 OS all you have to do is plug it in the USB port. Follow instructions to complete the installation and it should show up as a specific drive. It certainly is an appealing catch for the value-conscious individuals and an ample investment for your journey as a photographer. 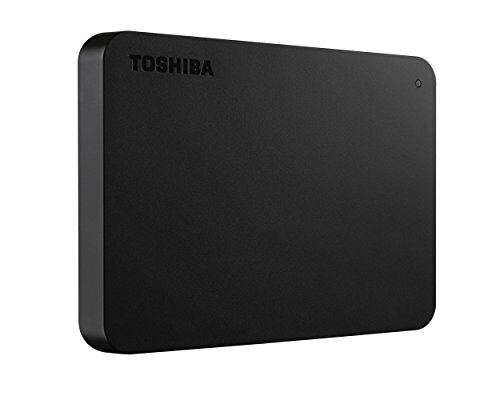 Toshiba hard drives keep WD drives in tight check with their fast and robust transfer speeds and decent consumptions. This 5200 rpm drive’s write consumption is around 0.48A with write speeds of 94MB/s average (USB3.0). While the read consumption pegs at 0.22A with an impressive read speed of 101MB/s average (USB 3.0). Portability fleshes out of the card with its lightweight and a very finely sleek body covered with a matte and smudge-resistant finish. It is USB 2.0 and USB 3.0 compatible coming with a USB 3.0 data transfer cable which is backward compatible with USB 2.0. It holds a wide range of compatibility, it comes formatted for Microsoft Windows. It will need reformatting for Mac OS v10.12 /OS X, v10.11 / v10.10. For Mac users, reformatting can be a confounding task. For that, under applications, you go to Utilities and open up Disk Utility. With the drive plugged in, select it and go to the Erase tab and there should be a drop-down menu with Format. Select Mac OS and click erase and after that’s done, the drive should be formatted for Mac. After having it plugged into your computer and it not being in use for a certain amount of time, it will shut off automatically, pretty nifty. Lastly, it includes Toshiba 1-year standard limited warranty. WD’s new My Passport series is a new take on their hard drive game by throwing more useful utilities and premium features into the mix. It is loaded with a rich color scheme of six different colors to chose from. It is a simple plug-and-play drive and an extremely sleek body easily fitting in the palm of your hand with a playful touch of style that goes along with the modern design language. This hard drive is USB 3.0 and USB 2.0 compatible, we were able to reach 105.44MB/s write and 109.48MB/s read speeds, while 2MB random speeds hit 66.59MB/s write and 48.94MB/s read. It has slip resistant feet on the bottom to keep undue sliding off in check. It brings many new features to the table. Firstly, it has an auto backup with included WD Backup software so you can automatically back up photos, videos, music, and documents. Set it to your schedule. Just pick the time and frequency. You ‘ll get password protection with hardware encryption, built-in 256-bit AES hardware encryption with WD Security software helps keep your content private and safe. Easily add a ‘return-if-found’ message as the password prompt in case your My Passport ever gets lost. It is compatible with Windows and it requires reformatting for Mac OS X operating system as well. Those who want to use this drive with their Mac and PC simultaneously, you can format it to exFAT file system to use it use it with both. It is a solid and highly secure solution for your storage needs. This is a solid bet for travelers buckling up for a rough journey. This bad boy has all it takes to withstand the shocks by its military-grade shockproof armor and IPX4 water-resistant protection. We’ve noted average transfer rates of 120.5 MB/s read and 122.5 MB/s write on this device at 5400 RPMs, given that it has USB 3.1 port, which is very outstanding. The drive is quite small and lightweight. 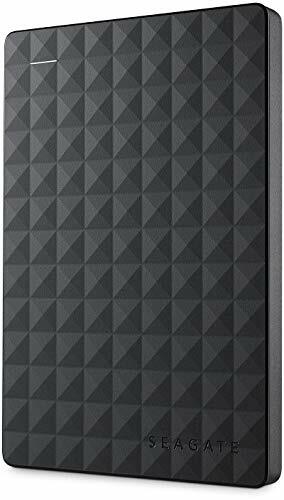 This drive could slip easily into a slim laptop neoprene case or even a jacket pocket. The plastic casing on top and bottom is your standard ABS, hence it carries the risk of getting scratches despite their advertised context. They have added two anti-slip rubber channels on the bottom. The A60 is Pre-formatted as FAT32, you could use it directly on Mac or Windows. However, when transferring a single file larger than 4GB, do re-format it to exFAT and make sure you back up the drive before reformat. It comes with 2 cables, the shorter one that lets you place the drive next to your computer and conveniently stores in a side slot and a longer cable that allows you to place the drive further away. 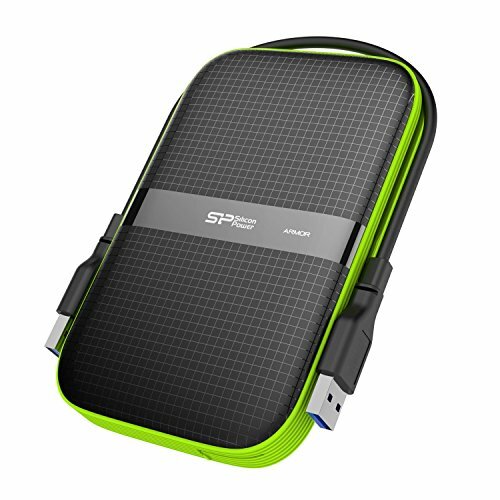 Each can plug into a USB port on the drive that has a dust/water resistant snap-in hinged cover. Interestingly, these USB cables can slip into a silicon rubber channel on the drive once you’re done with them and you can pull them out whenever you need them. You’ll get a 3-year manufacturer warranty on this bad boy. Seagate drives are more compliant with numerous operating systems with impressive read and write speeds above 90MBs/s and 103MBs/s running at 5400 RPM. It is a 2.5-inch drive which offers enough data storage for up to 1,000 hours of digital video, up to 250 two-hour DVD films, up to 320,000 digital photos, up to 16,660 hours of digital music. Like the rest of entries, it is USB 2.0 and USB 3.0 compatible. It is very neat and works right out of the box, you can drag and drop to save files to the drive. It has a thick plastic shell and a very smooth 3D texture on it which will prevent it from drifting off any surface. It is very light and you can easily slip it into your pocket and carry it around. The drive is automatically recognized by the Windows operating system – no software to install and nothing to configure. It comes formatted for Windows which the Mac reads just fine or it can be reformatted in a couple of minutes to a native Mac OSX format. If you are using the drive on a Mac only, you should probably reformat it – the only disadvantage of doing that is that you will lose a couple of Windows utilities that it comes preinstalled with. You’ll be left with 1.84TB of space after reformatting.